Operating Hours: Winter (7/01- 21/06) and (12/09- 30/11): Mon to Fri from 10am to 2pm and 4pm to 8pm. Sat from 10am to 8pm. Sun from 10am to 2pm. // Summer (22/06-11/09): Mon to Sat from 10am to 8pm. Also Summer schedule in Holy Week and Christmas dates. The Egyptian Museum of Barcelona is unique in Spain. 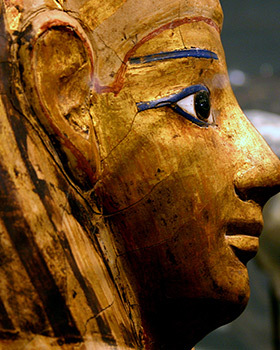 It has a monographic collection on Ancient Egypt that is one of the best in Europe. The Museum houses around 1,200 works of art on display that gives a good idea of the life and customs of one of the most ancient civilizations in the world. The pieces belong to the Archaeological Collection of Jordi Clos and have a leading role as a promotion, study and investigation centre. The museum provides a wide range of cultural offers from educational programmes for children, a library, and special courses to an Archaeological Campus.